Roland’s time-tested KD-120 is the top-of-line V-Kick Trigger Pad. 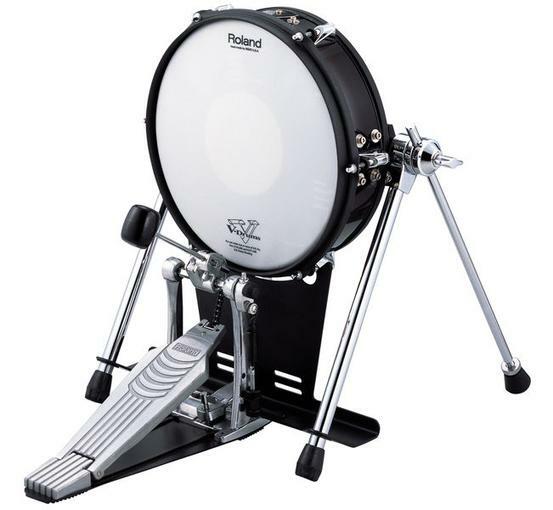 This 12" V-Kick offers natural and comfortable kick feel, and is compatible with double bass pedals (sold separately). The head tension can be adjusted to get the right feel, and the legs feature rubber tips with hidden spikes that can be pointed downward for more stability.